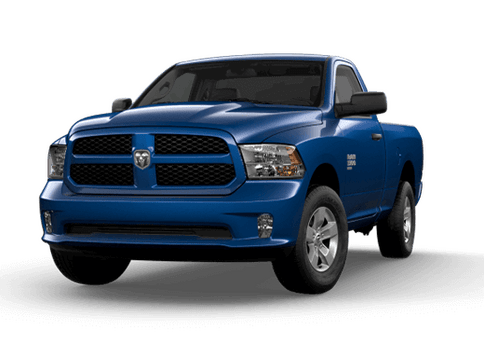 Drivers and commercial shoppers looking for impressive and well-protected cargo transportation can find what they are looking for in the generous interior and confident engine power and technology of the 2018 Ram ProMaster in Lake Elmo MN. This versatile cargo van has engine options and upfitting potential that can fit in the plan of small and large businesses alike. For 2018, this vehicle now comes standard with a rear backup camera or backup camera kit on all models, voice command responsiveness, and a five-inch touchscreen display. Depending on the model chosen, drivers can enjoy between 259 and 420 cubic feet of cargo space, and even a diesel engine option for increased versatility. 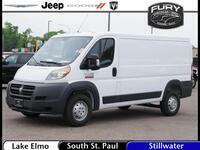 To learn more about the 2018 Ram ProMaster cargo van in the Twin Cities area, contact a member of the Fury Ram Truck Center sales team, explore our current inventory, or keep reading. The 2018 Ram ProMaster is available in several different sizes depending on what vehicle shopper need for their commercial needs. 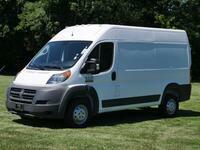 Cargo van models are available in 1500, 2500, and 3500 models, while chassis cab models are also available. 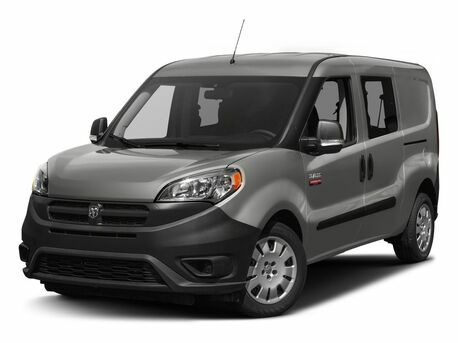 Most models of the 2018 Ram ProMaster in Lake Elmo MN will come with a 280-horsepower 3.6-liter gasoline V-6 engine mated to a six-speed automatic transmission. This powertrain offers up to 260 horsepower. 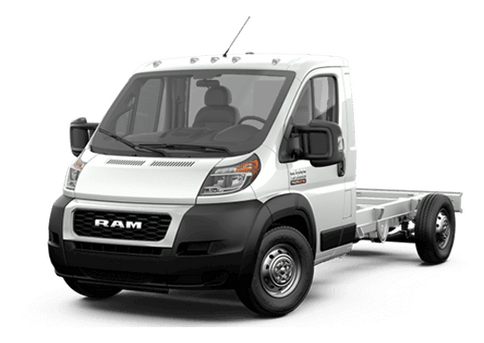 When properly equipped, the Ram ProMaster with its gas V-6 can hold up to 4,430 pounds of payload or tow up to 5,100 pounds. 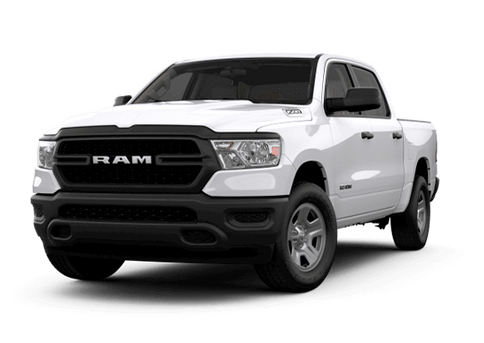 Those who prefer diesel power also have the option of a 3.0-liter EcoDiesel four-cylinder engine that offers 174 horsepower and 295 pound-feet of torque. Other highlights of the 2018 Ram ProMaster van that set it apart from other fleet options on the road include a best-in-class turning diameter, load floor height, maximum cargo width, and cargo width between the wheel wells. It also offers class-exclusive front-wheel drive, which can offer more control in challenging weather conditions. Whether you choose a base ProMaster 1500 Cargo Van with a low roof, or opt for a high roof or even an extended body, you can find a spacious and reliable business vehicle. To learn more about the 2018 ProMaster currently available here at the Fury Ram Truck Center in Lake Elmo MN, contact a member of our sales team today or request more information below. 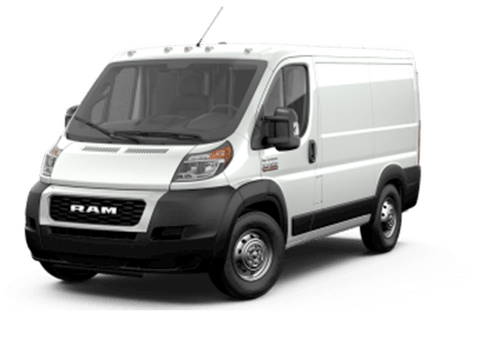 Interested in a 2018 Ram ProMaster Cargo Van?